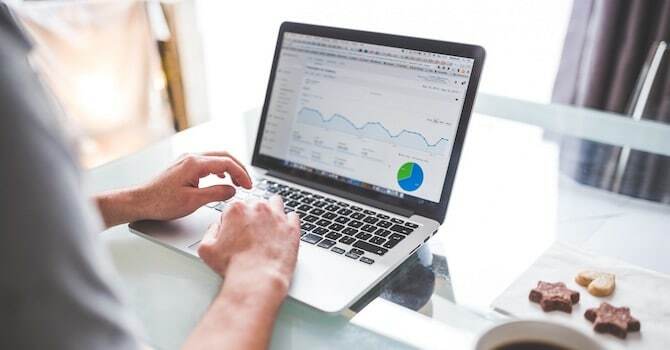 The world of web hosting, especially hosting for content management systems, is filled with so many different services to choose from that it can feel overwhelming at times. Whether you're new to the game or a veteran developer, it can be hard deciphering the differences between two hosts. Hostinger is one host that has always tried to stand out from the rest. 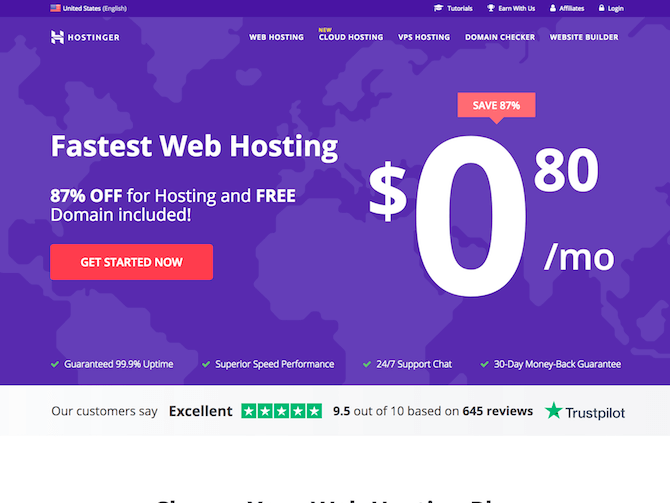 In this Hostinger review post, we're going to take a deep dive into the hosting setup Hostinger offers. We'll take a look at the types of hosting they offer, their individual plans, dashboard, features and more. First, let's kick this Hostinger review off with an overview. 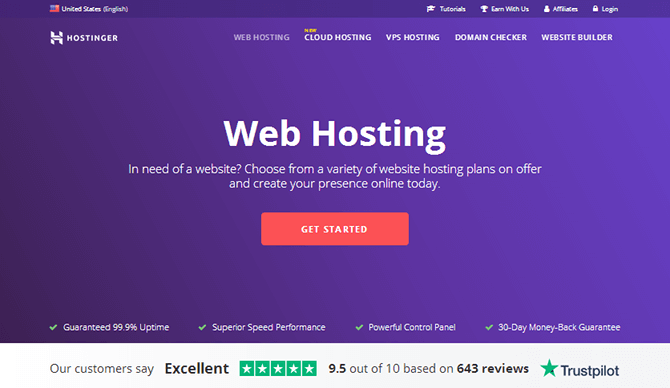 Hostinger was bootstrapped under the name “Hosting Media” in Lithuania in the year 2004 with the goal of creating a hosting solution that allowed developers to use PHP, MySQL and cPanel for free and without limits or advertisements. They founded additional companies, including Hosting24, along the way before finally achieving 1 million users in 2010 and creating the Hostinger brand in 2011. Today, the company offers multiple forms of hosting and serves over 29 million customers in 178 countries around the world. Let's move on with this Hostinger review and quickly go over a few key features this service offers. 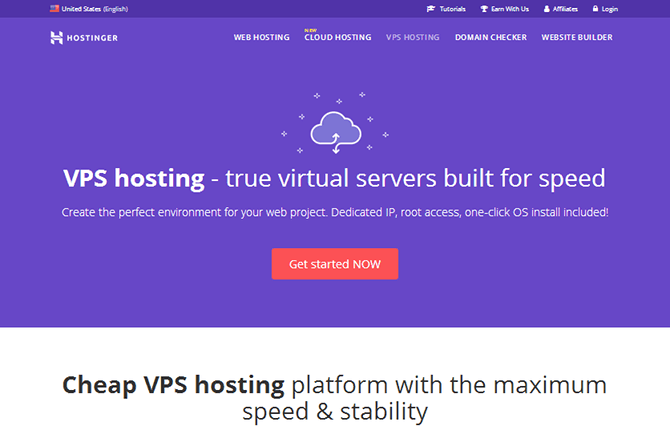 Multiple Hosting Solutions – Build websites with shared hosting, VPS hosting and cloud hosting. 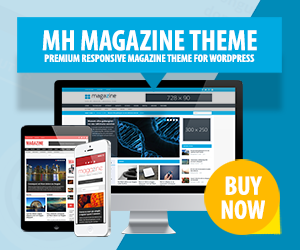 Multi-Platform – Build websites with WordPress, Drupal and Joomla. 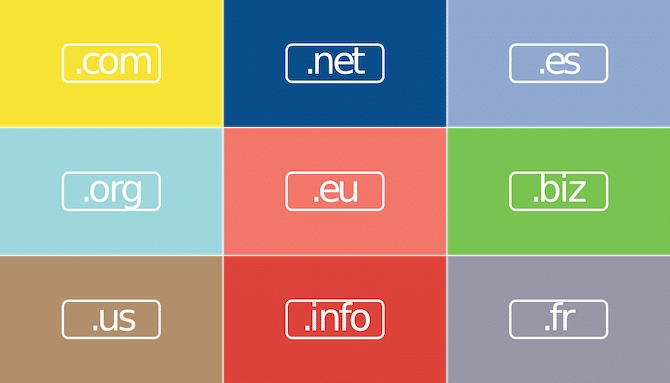 Domain Names – Register and host your domain with Hostinger at competitive rates. Subdomains are also available. 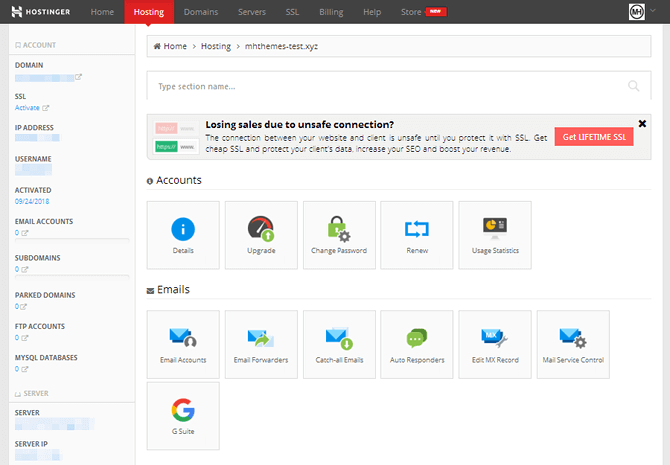 Email Hosting – Host domain-based email addresses with up to 25GB of storage, file sharing, a calendar, a task manager and more. 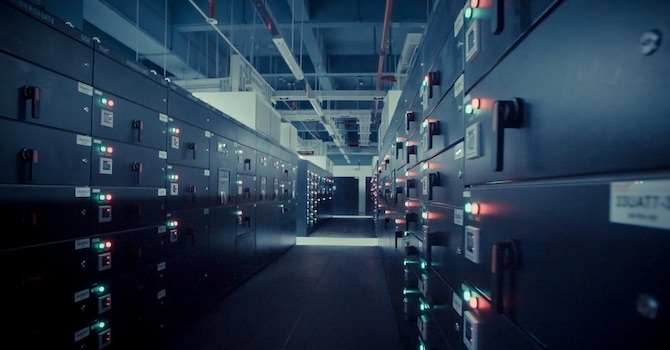 Backups – Backups are offered on a weekly or daily basis depending on the plan you purchase. 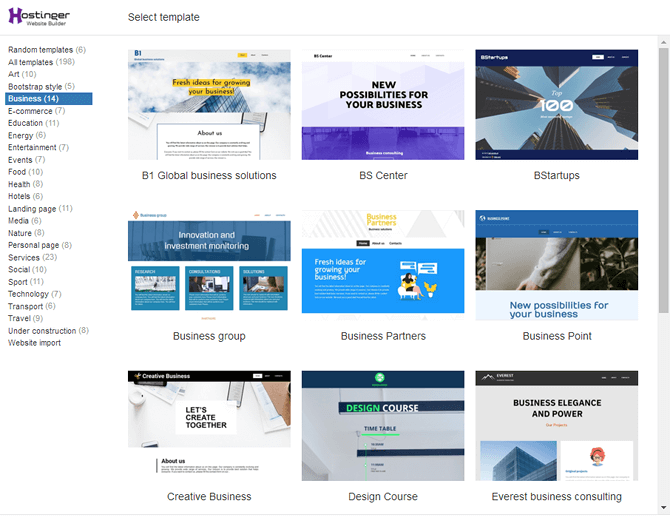 Website Builder – All plans come with a free, drag-and-drop website builder that allows you to design and build your website with very little technical knowledge. Multiple PHP Versions – Hostinger stays up to date with the latest technologies. At the time this article was written, PHP versions 5.2 through 7.2 were available. Database Management – Manage your database with phpMyAdmin and either MariaDB or MySQL. FTP & SSH Access – Access your website's file system with ease. Let's proceed with this Hostinger review and go over each one of them individually. Hostinger has three shared hosting plans available at the following prices. Keep in mind, these prices were recorded in September 2018. Regular rates are listed in parentheses. These prices definitely make Hostinger one of the most affordable options available in the industry. The Single plan comes with limited server specifications, as can be expected. However, the Premium and Business plans give you as much as four times the amount of processing power and memory from your server's CPU and RAM as well as unlimited websites, storage, bandwidth and databases. Free domains are available for Premium and Business plans while free SSL certificates are available exclusively for the Business plan. As far as backups go, weekly backups are performed on Single and Premium sites while daily backups are performed on Business sites. Multiple operating systems are available as well. 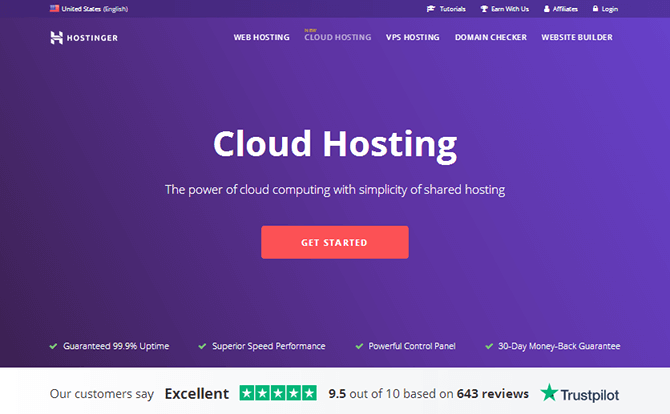 Hostinger has three cloud hosting plans. 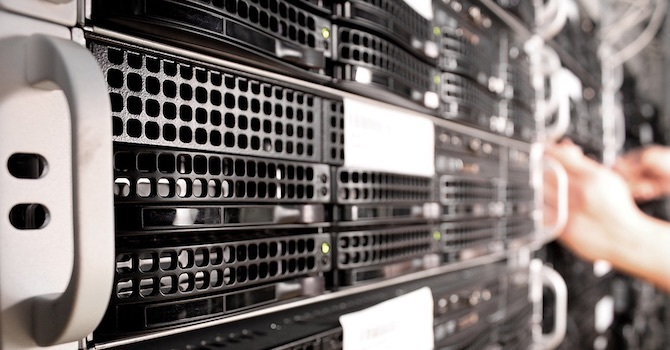 Like VPS hosting, plans are based on the amount of specs you need. Unlimited websites and bandwidth are available for all plans, but the amount of physical specs you receive vary between plans. This is Hostinger's hosting dashboard. It's a customized version of cPanel. The sites and domains you host with this service are listed under the Home tab where you can access cPanel for a particular site. Let's move on with the Hostinger review and go over Hostinger's hosting setup and features in detail. 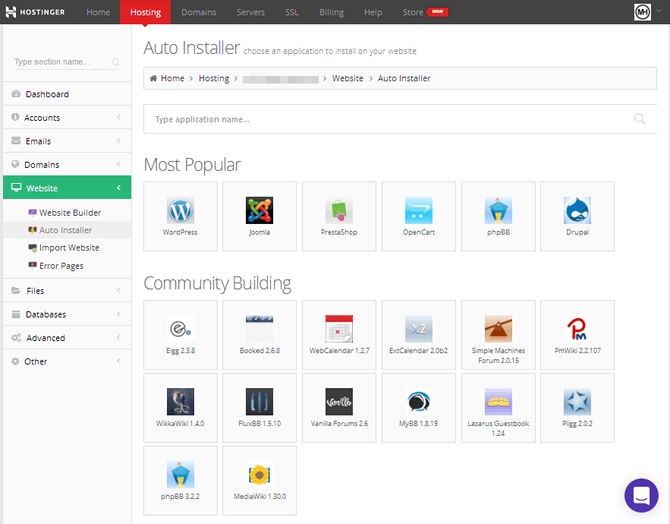 Hostinger offers an auto installer to help you install the CMS of your choosing with a few simple clicks. You'll have the option to install WordPress and other CMS's while you set up your hosting account for the first time. However, you can also skip this step and visit the auto installer in cPanel. Available applications include CMS's such as WordPress, Joomla and Drupal and ecommerce solutions such as PrestaShop and OpenCart. 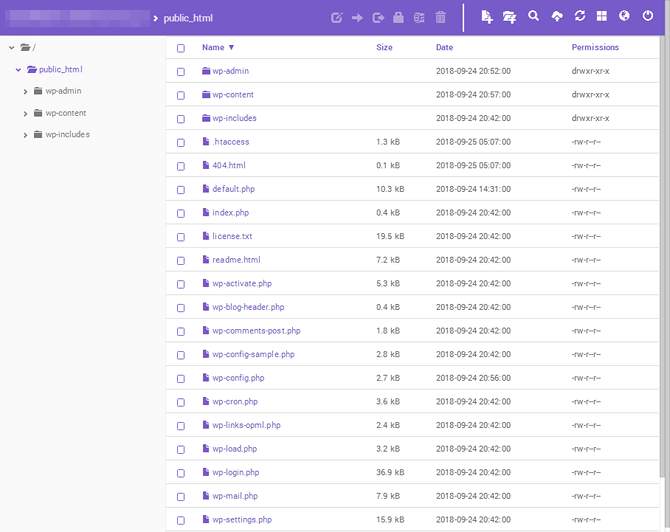 However, you can also install dozens of other CMS's, multiple ecommerce solutions, analytical tools, such as Piwik, and community building tools, such as Vanilla Forums and phpBB. Every application I looked at was available in its most recent version. As far as using the installer goes, I was able to install WordPress in under a minute and log into the admin area immediately. I tested the site with Pingdom afterward and received the following load times. Keep in mind, the data center was located in the Netherlands and CDN services weren't used. I did, however, install WP Super Cache. One thing I did notice is that All-in-One WP Migration, a free migration plugin, was installed and activated by default, something that could be seen as “bloatware” by some individuals. If you don't want to use a traditional CMS like WordPress in combination with WordPress themes, you can use Hostinger's website builder, which they've named Zyro Builder. There are over 195 templates available for this builder, and the majority of them have sleek, modern designs. The website builder itself uses a drag-and-drop user interface you'll already be familiar with if you've ever used page builder WordPress plugins or site builders like Squarespace. You can add pages to your site, build them from scratch (minus the coding) or use a template. 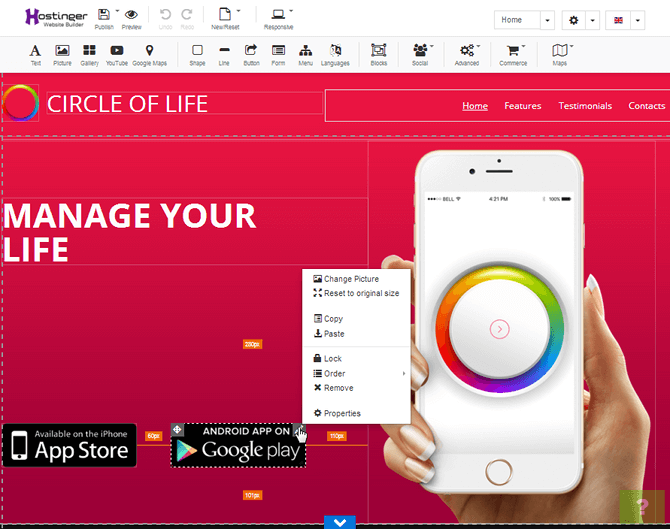 You can even add products and ecommerce features. However, blogging isn't available for the Zyro Builder, so I can't recommend it for most companies that want to take advantage of content marketing. Let's talk about site management, starting with domain management for those who choose to register their domains with Hostinger. Fortunately, everything is fairly standard. You can order privacy protection, update your nameservers, create child nameservers, update your domain's contact details or even register new domains. You can also edit your domain's DNS information, manage subdomains, parked domains and redirects, and even activate Cloudflare. Like every other iteration of cPanel, Hostinger offers a file management tool you can access from cPanel. It comes with standard operations, uses a clean-cut UI and is very fast. Of course, you can also access your site's files via FTP and even create multiple FTP accounts. Backups are also taken care of in the file management section of cPanel. You can generate new backups on the fly and download previous backups. 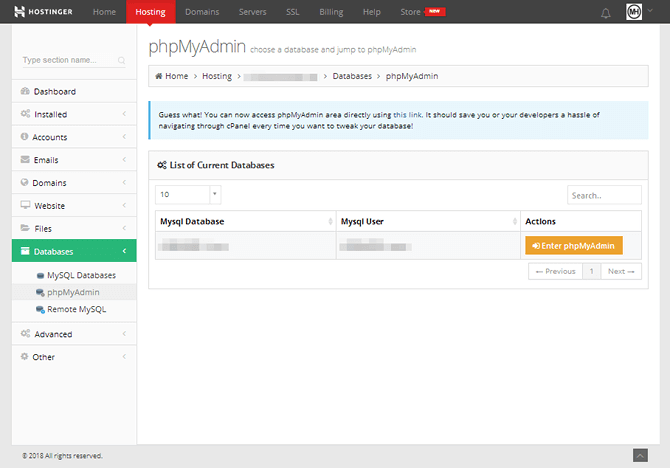 You can also access phpMyAdmin from cPanel to manage your site's databases if you need. You can even create new MySQL databases and users if you need to. There's also a feature called Remote MySQL you can use to access your database from your computer or another server. You'll do this by creating remote IP addresses that connect to your MySQL server automatically. From the Account management section, you can upgrade or renew your services and change your password. You can also view your server's technical details and usage statistics, including your CPU and memory usage and number of processes. Hostinger's cPanel has all of the technical features you expect to see from a shared host and self-hosted solution in general. 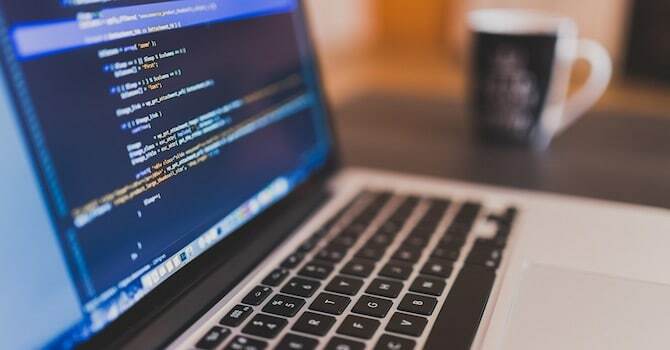 This includes the ability to configure your site's PHP settings, such as which version it uses, as well as tools like cron jobs, SSH access, a cache manager and GIT. You can also purchase a lifetime SSL certificate for a pretty fair price of $23.99, which was available for a 50% discount ($11.99) for me. Free SSL certificates are available but only for the Business Shared Hosting plan and higher. That's it with our Hostinger review. Hostinger is a quality host as far as shared hosting goes. We didn't test their VPS or cloud hosting servers, but we're fairly confident they're just as high in quality. The only drawback I can find is the lack of a security option in cPanel. Most hosts partner with one security service or another and allow you to integrate their services from cPanel, making it easy for novice users to secure their sites. However, this is a minor complaint that should not deter you from using this host. Visit Hostinger today to purchase server space for as little as $0.80/month. Please share your feedback on this Hostinger review in the comments below. Disclosure: This Hostinger review has been sponsored by Hostinger. The statements and opinions are our own. This page contains affiliate links to 3rd party products or services. If you choose to purchase these products or services, we may receive a commission from the product or service provider.